Are you ready for your next musical-theater challenge? Are you willing to hear about the artistic and personal life of the Brazilian Bombshell, Carmen Miranda? I don’t know why this subject hasn’t occurred to you before, but it would be a natural fit for your background and musical-theater abilities. And considering your surname, the (ahem) obvious choice! Speaking of which, my name is Josmar Lopes, but everyone calls me Joe. You see, I am a former immigrant myself. I came to the United States in 1959 from São Paulo, Brazil. I was five years old at the time. I grew up in the inner city, i.e. the South Bronx, near Fort Apache. You were born in Washington Heights and grew up in the Linwood area. My family and I lived for eight years at the Bronx River Houses — on the 14th floor to be exact — so we were intimately familiar with adversity and difficult times, much like the characters in your first hit play, In the Heights. In that, we share a commonality. I recently watched a clip from the CBS Sunday Morning program in which both you and author Ron Chernow admitted that Alexander Hamilton’s life story was the ultimate immigrant take on the theme of making it in America. In view of this, I can say with absolute authority that Carmen Miranda’s story is Hamilton’s twice over: she wasn’t born in Brazil, as many people mistakenly believe, but in Portugal. Maria do Carmo Miranda da Cunha was brought to Rio de Janeiro (the country’s capital at the time) in 1909 by her mother when she was less than a year old. Incredibly, Carmen never became a Brazilian citizen, for which she was severely criticized. And despite a successful ten-year stage and recording career in Brazil, Argentina and Uruguay, Carmen longed for fame in the U.S., especially in Hollywood. Fate would eventually come to tap her on the shoulder. In 1939, famed theater producer and impresario Lee Shubert was told of this sizzling new attraction by various individuals who had caught her act at the Urca Casino in Rio. He sent advance men to report back and keep an eye on the Brazilian’s progress. Upon his arrival there — and after watching Carmen perform live on stage — Shubert decided to invite Carmen to come to Boston and New York, and eventually make her Broadway debut in the musical revue, The Streets of Paris, in which she sang the number, “South American Way.” From there, it was a motion-picture contract with Darryl Zanuck’s Twentieth Century-Fox Studios. Carmen stayed in America for a solid year, returning to Brazil in 1940, where she was “greeted” with a cold shoulder by the elite of Brazilian society for having made her fame away from her home country. One could add that her story from this point on was a “rags to riches to more riches” tale. Carmen decided to make America her home, which in return made her the highest paid woman entertainer in the business, only to end up in a miserable, loveless marriage to a minor American producer, an addiction to alcohol and barbiturates, electro-shock therapy, and a premature death at age 46. Whew! How does all this connect to your personal style of writing and composition? Well, to put it plainly: Carmen was a uniquely gifted talent, in that she carved out her own individual performance style. She was more than just a singer and an entertainer: she was Brazil’s most famous international export. Her rapid-fire delivery and natural flair for language and self-expression came across not only on screen in those colorful Fox musicals of the 1940s, but in her many Brazilian recordings from the period 1929 to 1939, the decade before she immigrated (for the second time in her life) to America. As evidence of her uniqueness, check out her classic appearance in Greenwich Village, a Fox musical from 1944, in particular two numbers: Nobel Sissle and Eubie Blake’s “I’m Just Wild about Harry”; and “Give Me a Band and a Bandana” by Leo Robin and Nacio Herb Brown. In both, Carmen interpolates some lines in her native Portuguese that, believe it not, could have been harbingers of rap and hip-hop (Brazilian style, of course!). It’s the kind of thing that Carmen did naturally. If all this intrigues you, Lin-Manuel, then please let me know. I have had wide-ranging experience with Broadway and theater people, for example, Stephen C. Byrd and Alia Jones-Harvey of Front Row Productions. I worked closely with them in our efforts to bring the 1959 cult film Black Orpheus to the New York stage. They can vouch for my proficiency in the area of cultural consultant. Not only was I successful in helping to obtain the rights to the original Brazilian play Orfeu da Conceição, but I also introduced Stephen and Alia to the team of Charles Möeller and Claudio Botelho, the most successful producer-director duo in Brazilian musical theater today. In addition, I helped to translate (from the original Portuguese to American English) the team’s version of Black Orpheus, as well as Möeller-Botelho’s original theater piece, 7 – The Musical, a modern interpretation of the Sleeping Beauty-Cinderella fairy tales. The most fascinating aspect of my association with Claudio Botelho was his challenge to me to write an original stage treatment based on Carmen Miranda’s life. I did so — willingly — and called it Bye-Bye, My Samba (or, in Portuguese, Adeus, batucada, after one of her hit songs). Much as you were inspired by Chernow’s biography to write Hamilton: An American Musical, I too have met the challenge head on of doing justice to my fellow Brazilian compatriot. It took a great deal of research and study, and long hours at home contemplating the best way to present this subject to audiences unfamiliar with Carmen’s history. I can tell you that I learned quite a lot about the real Carmen Miranda. In spite of his poverty and illegitimacy and lowly station in life, Hamilton developed supreme self-confidence and a built-in reliance on his intelligence and work ethic. As for myself, I can only boast of my dedication and thoroughness to whatever project I work on. With that said, I am confident you will give this pitch of mine the dedication and thoroughness of thought it requires. As I stated at the outset, it’s a natural! P.S. We LOVED your play In the Heights, along with your Spanish translation of West Side Story. As a matter of fact, Stephen Byrd wanted to develop the Black Orpheus project along similar lines — that is, intersperse some Brazilian-Portuguese dialogue into the English translation. If that isn’t a compliment to the fine job you did with In the Heights, I don’t know what is! On this day after Christmas, what better way to celebrate the holidays than with a song on your lips! Better yet, the Songs of 7 – The Musical (7 – O musical), the adult-themed theater piece written and produced by the Brazilian musical “Dream Team” of Charles Möeller, Claudio Botelho and Ed Motta. WHEN THE CLOCK WILL STRIKE THE HOUR? WHO WILL THEN INVADE MY BASTION? “Little Baby at My Door” – Dona Rosa, et al. ALL THOSE SLEEPLESS NIGHTS GALORE! ALL MINE – ALL MINE! A lot has happened in Brazil these past few months. Why, the headlines of the major news organizations are filled with the goings-on from below the equator. The problem is they haven’t been on the positive side of things, if reporters and media pundits are to be believed. From the political crisis involving President Dilma Rousseff’s impeachment proceedings to the worst economic downturn in nearly a century, Brazil has been reeling from a plethora of terribly bad to steadily worsening bulletins. Unemployment is up, while GDP is down. Despite claims to the contrary, the Zika virus continues to worry athletes and participants of the upcoming 2016 Summer Olympic Games; while the threat of bacterial infections has raised concerns with World Health Organization officials over the growing unsanitary conditions found in Rio’s Guanabara Bay. Add to this the increasing climate of violence due to widespread police killings; the mind-blowing and ever-expanding corruption scandals at all levels of government; the shortage of available housing brought on by the massive number of evictions from Rio’s poorest districts; delays in construction and infrastructure projects that have led to cost overruns and overly optimistic projections of a return on the government’s investment. All these factors have contributed to the disquiet and unrest that have gripped the Brazilian nation for well-on two years now. Despite the gloomy forecast, there remains one bright spot — an oasis in the desert of political and economic instability — and that is, the continuing esteem Brazil’s musical theater has been held in by the paying public. It’s as if those MGM wartime musicals had been recreated strictly for the Brazilian market, in the way they used to divert audiences from the horrors of real life. Today, this has been made possible by the presence of two uniquely talented individuals. I’m referring, of course, to the Brazilian Dream Team, that dynamic duo of the Rio stage, the “Kings of Musical Theater”: director, writer, costume and set designer Charles Möeller and musical director, translator, adapter and lyricist Claudio Botelho. I’ve given extensive coverage to Charles and Claudio’s efforts in this vein ever since I began corresponding with the “Boys from Brazil” back in October 2010, and regularly after I had met them in Manhattan in September 2011. Their work, in particular a remarkably entertaining and thoroughly absorbing theater piece named 7 – The Musical, left no doubt they were on the cusp of international stardom. It happened that at the end of December 2015, Charles and Claudio celebrated their 25th season together as working partners and business associates. In recognition of their hitting the quarter-century mark — and in expectation of bigger and better productions on the immediate horizon — the pair granted a year-end interview to Rio de Janeiro’s Globo News. After perusing their comments and listening to the enthusiasm they appear to express when discussing their chosen profession, I’m sure readers will agree that with Möeller and Botelho, the sun will always come out on their shows — if not tomorrow, then the day after. And the day after that and the day after that … And boy, do we need it now! One is sarcastic and self-contained. The other is open and expansive. The very different and quite opposite personalities of these two gentlemen prove that Charles Möeller and Claudio Botelho were born to complement each other as they embarked on a direct path to success. They’re celebrating 25 years of a professional partnership that has borne such marvelous fruit as Cole Porter — He Never Said He Loved Me and Spring Awakening. There have been nearly 40 works signed off by the team that has also given birth to numerous other partnerships in their field: iconic actors and actresses, as well as those they have seen rise to stardom. Here is the most recent conversation with this accomplished Carioca twosome that has become a reference point in the genre of musical theater in Brazil. Charles Möeller: The secret of a professional relationship is in knowing when to pick your battles. The argument is the most beneficial thing that exists in a relationship because it can determine who gets the last word. When you realize there’s something bigger at stake and come to believe that it’s really worth fighting for … then the argument can only make it better. Friction is what moves us to action and causes us to accept these differences of opinion. We’re two regular guys who enjoy a good fight! Anybody who stands next to us can’t believe what they’re witnessing! You’d think we will never be able to look each other in the eye; but five minutes later we’ll act as if nothing’s happened (laughs). Claudio Botelho: In the past we would argue almost to the point of coming to blows (laughs). Knowing how to fight is the secret, no doubt about it. If one side is right and the other side is wrong, the end result will demand at lot from us both: we always have to prove we’re right. What makes me the happiest guy in the world is the recognition we get from our work. Charles Möeller: We met each other as soon as I moved to Rio de Janeiro, in 1989. 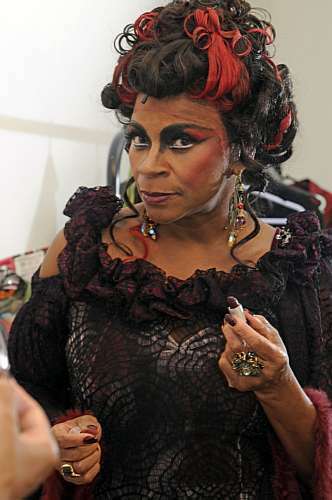 I was performing in a soap opera called Mico Preto (“Black Monkey”), playing Miguel Falabella’s son, who was then directing the play Um e Outro (“One and the Other”) in which Claudio was part of the cast. I attended an open rehearsal and, as soon as we started talking about musicals, we identified with each other. He was already an expert on the subject and had this goal in mind of an artistic career, while I had just left the company of Antunes Filho and had an aesthetic affinity with the genre. There was a meeting where I provided the stage pictures for a musical and Claudio provided the songs. Duos need to play off one another; those that don’t usually backfire. The neat thing is to be different. Claudio Botelho: Musical theater is basically a craft made for twos and threes. No single person can go it alone. We only succeed because of one another. When we first met, I realized I had found someone with the same reference points as I had. It was extremely rare for someone my age to have seen the same movies as I had. We had so much love for musicals that, from one day to the next, something clicked. I thought: there’s no way we can do this [type of thing] here [in Brazil] (laughs)! I wanted to show people what I loved the most about musicals; I wanted to share with them what I found so amazing about them. I get excited when I can finally convince the public of this. My greatest pleasure is to sit in the audience and see the place go wild with what we’ve brought to the stage. Charles Möeller: We’re obsessed with the genre. It’s not a passing fancy with us, nor are we following the demands of the market. What motivates me to want to do musicals even today is the same motivation I had from the beginning: that the show transforms me and takes me out of myself. We strive for the professionalization of the genre, and lavish it with great technical care. In that way we become a brand. Claudio Botelho: We changed the type of public that goes to musical theater, which used to be a much older crowd. The generation that watched our show Cole Porter, which really lifted us to success, doesn’t go to the theater anymore. 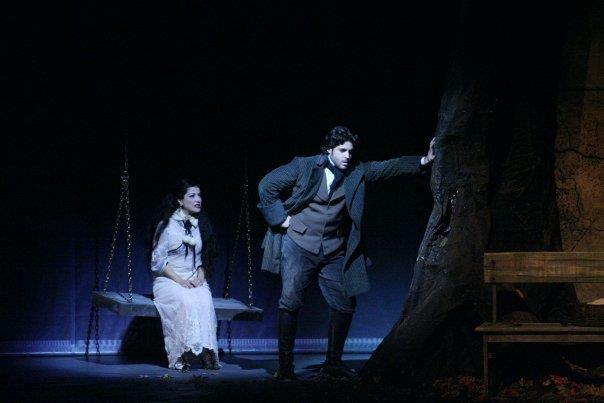 It was Spring Awakening that brought younger audiences to the theater and exposed them to the genre. Our main focus, then, became entertainment for the whole family. We concentrate on the needs of the market, on what the competition has to offer, but without setting aside artistic quality. Charles Möeller: I have my favorites, but each piece I present takes such a huge chunk out of my life that I always feel the last play I work on is the one that best reflects who I am at the time. I still want to work with so many artists. I love to call on unusual people to partner with, and they end up becoming quite close. My dream is to work with Fernanda Montenegro. I also admire the work of Domingos Montagner and that of Fernanda Torres. Claudio Botelho: It’s that old cliché of asking which child do you love the most (laughs)? The most important “child” of our career was, curiously enough, the one that made the least money: ‘7.’ It was our creation, one that garnered many awards, but the public wanted to hear more familiar tunes. Still, it was an important benchmark in our history. I, too, dream of working with Fernanda Montenegro and feel this can happen at any moment. Coming Attractions: Ewa Wilma & Nicette Bruno in Whatever Happened to Baby Jane? Charles Möeller: Next year  we’ll present an adaptation of the movie The Apartment, in the musical Promises, Promises with Marcos Veras and Maria Clara Gueiros. In the second half of the year we’ll be bringing Pippin to the stage, with a huge cast of unknown performers! Claudio Botelho: I’m certain that Pippin will bring the same audience that saw Spring Awakening to the show. In addition, we’ll be releasing the film Os Saltimbancos Trapalhões (“The Bandit Stooges”), and we just bought the rights to the movie Whatever Happened to Baby Jane?, which has been adapted for the theater. We’ll be responsible for the world premiere showing! 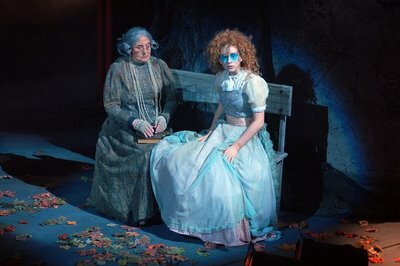 With the box-office success of the Disney Studios’ film adaptation (directed by Rob Marshall) of Stephen Sondheim and James Lapine’s Into the Woods, it behooves me at this point to revisit an overlooked masterwork of Brazilian musical theater: Möeller-Botelho-Motta’s 7 – The Musical, an adult version (a VERY adult version, I should strongly add) of the Snow White story. This elaborate excursion into the fairy-tale realm, a dark-themed noir extravaganza that explores the libidinous motivations of its principal protagonists, made its triumphant debut on September 1, 2007, in Rio de Janeiro. 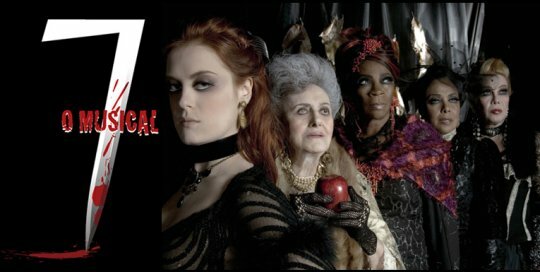 And since 2010, when I first heard about the show, I have spent these past several years viewing, studying, and describing the origin and background of this fabulous musical-theater piece in several blog posts (see the following link: https://josmarlopes.wordpress.com/2012/09/11/be-careful-what-you-wish-for-a-brazilian-fairy-tale-musical-comes-to-the-rio-stage/). Today, however, I want to focus primarily on the English translation of its remarkably cogent songs, some of the catchiest and melodious numbers — be they Brazilian, American or otherwise — of any stage musical in recent memory. IN THE DARK OF NIGHT! ARE THEY SAYING: WHAT NOW? NO ONE LEAVES ME ALONE! ONE, TWO, THREE, FOUR, FIVE, SIX, SEVEN DWARFS! A THOUSAND TIMES OR MORE! MY ONLY TASK IS TO OBEY! YOUR CRUEL HEAVEN OR YOUR HELL! ‘7’ the Winner! The Brazilian Musical Comes of Age — Part Four: The Beginning or the End? In this final chapter of my multi-part study of Charles Möeller, Claudio Botelho, and Ed Motta’s masterwork 7 – The Musical, wherein we left readers with an in-depth analysis and appreciation of Act I (see the following link: https://josmarlopes.wordpress.com/2014/01/05/7-the-winner-the-brazilian-musical-comes-of-age-part-two-ele-vai-voltar-hell-come-back-i-vow/), we conclude with the major occurrences of Act II (Reader Alert: Spoilers ahead!). The prelude is taken (quite appropriately, one might add) from the “Seven Curses” ensemble in Act I. After a brief exchange between Madeleine and Elvira atop a balcony, the curtain rises on an ice-covered lake. Just below the surface is the frozen body of a young woman, Bianca, who was last seen wandering the streets in search of safe haven from the storm. The premise is that she must have fallen into the lake by accident (a possible stand-in for Rio’s Lagoa Rodrigo de Freitas). The seven young men (or dwarfs) assume the roles of motorized musicians, the type once found at amusement parks. In this instance, the dwarfs are providing a musical diversion for the ad hoc skating rink. Each of the men is playing a different instrument (piano, trombone, maracas, accordion, etc.) in robotic fashion. Clara is frolicking behind them, tossing her dolls into the air and giggling uncontrollably like a child. Quem invade o teu castelo? These are but the musings of a prepubescent girl about to reach maturity, who still dreams of a knight in shining armor to sweep her off her feet and carry her away on his mount. A mysterious voice — that of the frozen Bianca, whose head protrudes from a hole in the ice — interrupts the goings-on by emitting a few coloratura scales in melodious counterpoint to Clara and the dwarfs. The scene shifts to Old Stepmother’s house. She’s barely concluded a portion of the Snow White story, when Clara asks a question of her: “Do you love me?” Old Stepmother conveniently sidesteps the issue, but Clara insists that deep down inside, “You love me as if I were your own daughter!” To this the cantankerous old woman snaps back that she is Clara’s stepmother and, as such, demands that she be respected. She sends the girl off to make her bed and takes her leave. 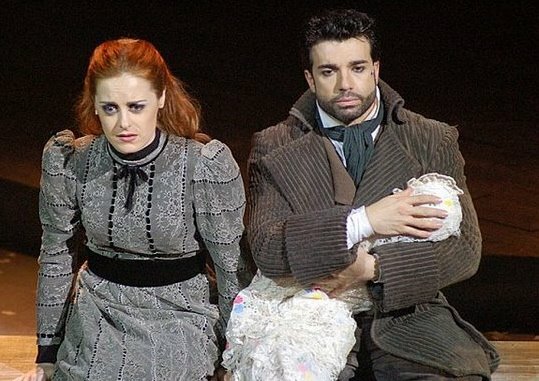 At that, there is a flashback to 20 years prior, when Dona Rosa, Amelia’s “godmother,” recalls how she came to be in possession of baby Amelia (Note: an extended scene that was cut from the original text included Dona Carmen and Dona Odette as well). “It was a dark and terrible night of rain,” when Rosa heard a knock at the door. A man dropped off a baby girl whose name was Amelia; the man turned out to be her father. 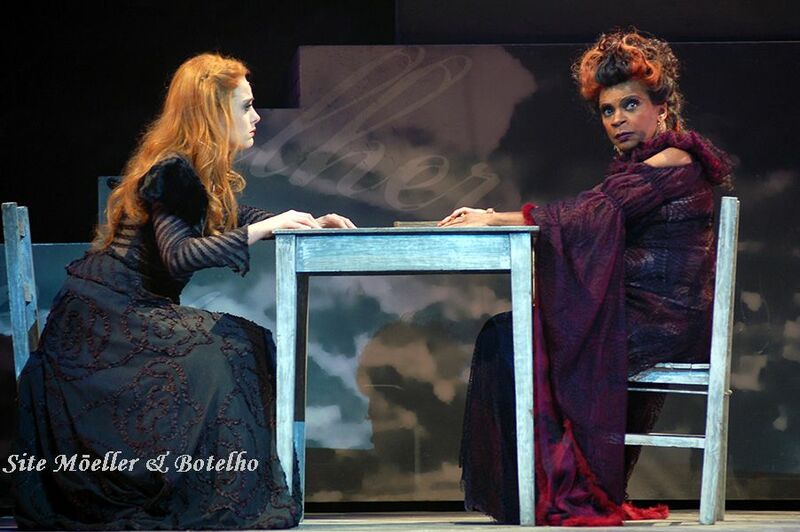 We are told that Dona Rosa embraced Amelia as her own child, an abandoned orphan with no past and very little future. Now we know who Amelia is, but who is Clara? Returning to room number 7, where Amelia has been “entertaining” her client Alvaro, we hear the “Song of the Wishes” as intoned by the young men, along with Carmen’s admonition to Amelia to bring her “a heart that’s strong, still young and vibrant, happy and free” — only this time it’s sung by Alvaro, the young man whose strong heart now beats for Amelia, and that Amelia so desperately needs in order to complete her task. Repeating the same motion with the knife that tore open the Belt Strangler’s chest in the early going, the enamored Amelia cannot bring herself to kill the fetching lad. Her reasoning: “He loves me, the boy loves me!” The clairvoyant reminds her that she’s not herself, that both she and the boy have been bewitched by the magic spell. Again, we see the past intruding upon the present, as the couple finds itself trapped in a time warp, unable to break free. Amelia and Alvaro make plans to run away together. They will meet at the train station at midnight. Carmen warns Amelia that if she fails to comply with the seventh task, she will face a terrible curse. Amelia looks at her in disbelief: “What curse?” Carmen obliges with a riposte: “The seven years curse. Whoever fails to complete the spell will live seven years in one.” “How’s that?” Amelia inquires. “You are going to get seven years older with each passing year,” Carmen admonishes. “The circle must be closed.” She holds up a hand mirror to Amelia’s face. But instead of reacting with alarm, Amelia can only gaze at her pale features. She stares blankly into the mirror, transfixed by what she sees (the fairy-tale phrase, “Who in the land is fairest of them all?” comes to mind). Amelia now begins her song, “Olhe pra mim” (“Oh, Look at Me”), the most insightful and psychologically potent number of all. 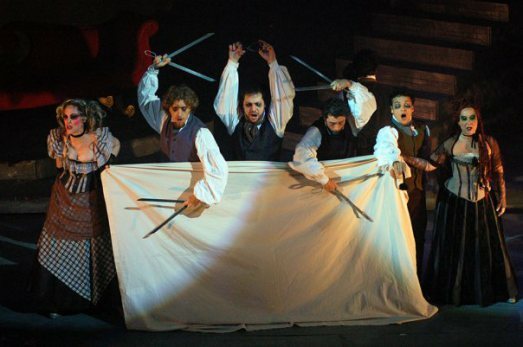 The young men surround Amelia while they hold hand mirrors up to her face. But what does Amelia see? Speculating on the possibilities, perhaps she can peer inside herself — inside her soul, that is —and outside, at her fading beauty. In the concluding moments of her song, the words “Que as portas já vão fechar, fechar” – “And the doors will be closing soon, so soon” ring out loud and clear. It’s the darkest of sentiments, a remarkable display of chromaticism at work (note the presence of piano and vibraphone), along with the sophisticated use of melody and harmonics — a marvelously atmospheric piece! We segue directly to the most sensuous, indeed the most dreamlike passage in the entire musical: the scene of Clara, slowly and deliberately, descending the steps to Old Stepmother’s house. She is wearing a revealing, low-cut gown that had once belonged to her mother. For the first time the girl is in touch with her own sexuality. We marvel at the radiance of her hair which is straight and combed for the occasion, the contours of her form, the loveliness of her skin and face — in sum, she’s an exquisite flower of the night that has come into bloom. First the violin, then the cello, play a sumptuous solo passage based on the opening section of “There’s a wounded heart in the forest,” but the pace is languorous, the atmosphere sexually charged, the entire episode appearing to take place in Clara’s mind. This sequence is in sharp contrast to the number that opened the act, where Clara, in the last throes of her childhood, is found still playing with her dolls, laughing and carrying on over the frozen lake — the lake that encases Bianca’s frozen body. Old Stepmother chastises her for wearing her mother’s gown and tells her that “mommy” was a worthless tramp, that Clara is “ugly, very, very ugly.” Our eyes, however, tell a different story. We see an ugly duckling transformed into a gorgeous swan. 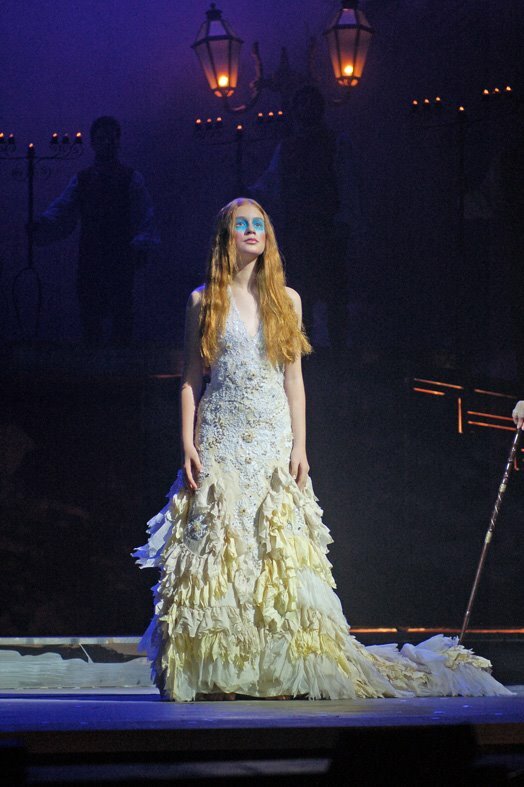 Clara sways her arms in time to the music as she glides down the staircase, in delicately choreographed movements that provide ample proof of her swan-like transformation. The audience, too, becomes aware of the moment, i.e., of her entry into womanhood — just as Bianca before her had experienced with the pricking of her finger. After telling her again to keep her mouth shut, Old Stepmother rudely berates her. The poor heart-broken girl bursts into tears and runs off to her room. Right on cue, the seven young men repeat the opening stanza of “There’s a wounded heart in the forest.” We know now whose heart has been wounded, among so many unfortunates: “There’s your Prince Charming, a pumpkin, a coachman / A clock will strike at twelve / a calendar that reads of seven.” It’s the plot of the musical itself, brilliantly encapsulated in verse and song. We are back at Dona Odette’s house of ill repute. Amelia is preparing to leave. Not wanting to lose such a valuable “employee,” Odette invites her to stay in room number 7 for as long as she wants. But Amelia reveals that she is taking the midnight train back to her home. Odette dismisses the two whores (who realize they must do all the housework themselves) and contacts Carmen by phone to apprise her of the situation: Amelia is on her way at last. Their plan worked! The two women “go back a long way together” as Carmen once hinted. They have worked out the details of their scheme to perfection and, if we are perceptive enough to notice, have succeeded in sparing themselves the curse’s wrath by luring Amelia to the appointed spot before the clock strikes twelve. We see Herculano through a window of the house he shares with Bianca. He hums a lullaby to the child, the melody of which belongs, ironically enough, to Elvira and Madeleine’s number, which was taken up by Clara. He is interrupted by a phone call telling him that Bianca’s body has been found on the beach. Next, we find Bianca lying on a bier — in juxtaposition to the episode in the Prologue to Act I, where Clara was seen lying on a bench underneath the huge clock while holding a lily in her hands. Bianca, too, is holding a lily, only she is unconscious. The seven young men are there, surrounding and protecting her much as the seven dwarfs would do. Shifting rapidly to the next scene, Clara and Old Stepmother argue whether Prince Charming had arrived in time to rouse Snow White from her poisoned slumber. Old Stepmother complains that Clara always interrupts her at this point. Clara counters that Old Stepmother hates it when Snow White gets kissed and awakens to live happily ever after. “Your mother died, my dear,” the stepmother proclaims coldly. “There was no prince to wake her. She died while drowning.” The contrast between Snow White and Clara’s mother is purposely done in order to create a play on words as well as inject a little levity. In another scene change Alvaro enters and is captivated by Bianca’s frozen form. He impulsively kisses her on the lips. This startles the other men as well as the two prostitutes peering over the balcony. Unexpectedly, Bianca sits up with a start — the dead have come back to life again, raising the “specter,” if you will, of whether any of them were dead to begin with, or merely feigning death. This issue of permanence (or the lack thereof) is the insoluble dilemma of the play: is there such a thing as the separation of reality from fantasy? Another brief scene features Amelia speaking to Dona Rosa on the phone, telling her that all is well and that she should prepare two places for breakfast in the morning. “From now on, I’m going to be happy… very happy!” she announces gaily. In imitation of the conclusion to Act I (and with the same hurried theme music), Herculano rushes in, desperately seeking Bianca. But her bier is empty and Bianca is nowhere to be found. Herculano asks the passersby if they’ve seen his wife and rudely barks orders at them, all the while holding the infant in his arms. Carmen materializes and instructs him to pick a card. Dubious at first, Herculano obeys her command. Drawing a card from the deck, he hands it to Carmen, who sends him scurrying off to the train station to meet his wife. However, she neglects to mention that Amelia, his first wife, will be the one waiting for him, not his precious Bianca. Semantics and the deliberate misrepresentation of words and their meaning is the staple of many stories, including the tale of Rumpelstiltskin, a fable about individual identity and the power of names over persons or situations. Looking at the card that Herculano has just picked, Carmen provides the audience with a characteristic fare-thee-well: “I’ll bring your love back in seven days! Seven days!” And with that she vanishes. Bianca and Alvaro are standing on the beach. She has longed to see the ocean. The orchestra plays the “If this pathway” theme, as she and Alvaro form a close bond. Has she finally found her pathway? That remains to be seen. They hold each other’s hand. Alvaro asks to stay with her. Bianca has lost all memory of her past. All she knows is that she loves Alvaro. Alvaro, in kind, has also forgotten the past, especially the reason for his going to the train station: to rendezvous with Amelia. “All that’s been forgotten is in the past,” the last line of Alvaro and Amelia’s love song, gives us a clue as to where Bianca and Alvaro’s relationship may be going. Sealing their passion with a kiss, Bianca fails to notice that it was in this exact same manner that she bid goodbye to Herculano before she ran away from home. We are both at the beach and at the train station. There’s a duet between Amelia and Bianca. The music of “He’ll Come Back” returns but with new words: “He’ll arrive on time.” Once more, there is a musical theme in search of a melody that mocks Amelia’s search for her lost love. The two female voices join together, albeit temporarily, the one unbeknown to the other. They are on opposite ends of the stage, the physical separation indicative of how far apart they are in temperament. Their brief duet is a fascinating blend of the characters’ differing states of mind, each with her own view of where fate will lead them. Neither is aware of how much they have changed since the start of the drama, nor will they ever know. Bianca departs with Alvaro in tow, leaving Amelia alone, to wait for Alvaro at the train station. The music reverts to the “He’ll Come Back, I Vow” theme. As we have seen, the sequence of events is recurring in reverse order from those at the start of the play. All the musical numbers will follow this reverse course. We are going backward in time, edging ever closer to the end… or are we? Amelia counts off the numbers in sequence: one, two, three, four, five, six — each one voiced more desperately than the preceding one — until Herculano arrives on the scene with the baby still in his arms. Sheepishly, they turn away from each other as they talk. Their conversation is broken up into short spurts — it’s stilted and formal, not what you’d expect from husband and wife. Amelia sees him with the child and inquires, “Is this your daughter?” “Yes, she is,” he replies. “Her name is Clara.” “She looks just like you,” Amelia comments. 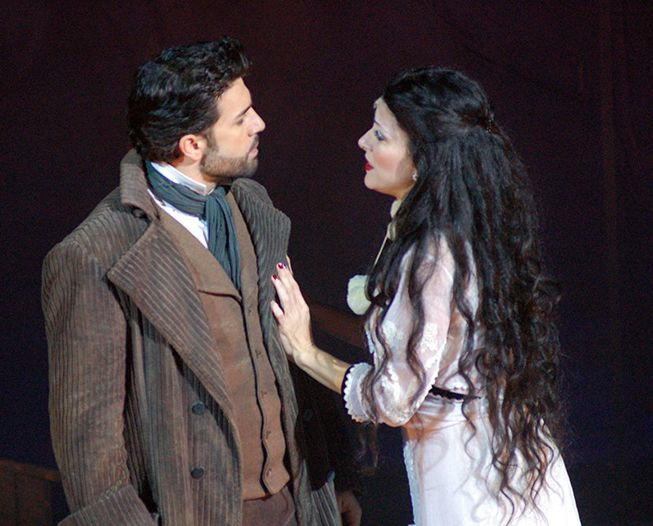 Clearly, Herculano did not wish to meet Amelia there, although Carmen did say he could find his “wife” at the station. For the last time, the huge clock is lowered onto the stage in exactly the same manner as at the beginning. A train whistle is heard in the distance, sounding closer and closer to the station. Resolutely speaking the words, “Está na minha hora” (“It’s time for me to go”) Amelia takes the baby and suitcase and disappears behind the clock. From the opposite side of the clock, Old Stepmother emerges with Clara. She sings the same lullaby that Amelia just sang to the baby. Clara lays her head on her stepmother’s lap. It’s obvious the two most important women of the story, Amelia and Old Stepmother, are one and the same person, that the girl Clara is the product of the union between Bianca (Snow White) and Herculano (Prince Charming), and that she was abandoned — as Amelia was — by her mother. At the same time, the music changes to a cello solo and the theme of “If this pathway,” as a young man with a suitcase comes striding in. It is Alvaro — Clara’s knight in shining armor — several years older yet none the wiser. What’s happened to Bianca? We may never know. He is wearing an overcoat to protect him from the elements (the elements of shock and surprise, no doubt) as he glimpses the couple seated together. Old Stepmother recognizes the young man. “Alvaro!” she gasps in astonishment. Immediately, she rises from the bench and rearranges her hair in a provocative manner. Alvaro moves closer to the pair. Old Stepmother smiles expectantly, but he passes right by her, as if she were never there, a shadow of her former self. He sits on the bench in her place and looks deeply into Clara’s eyes. It’s love at first sight! Amelia chooses that exact moment to come out from behind the clock. As she does so, we hear the same pulse-pounding notes that began the musical, Amelia’s “He’ll Come Back” motif. And, indeed, he has come back, hasn’t he? But not in the way she had hoped. 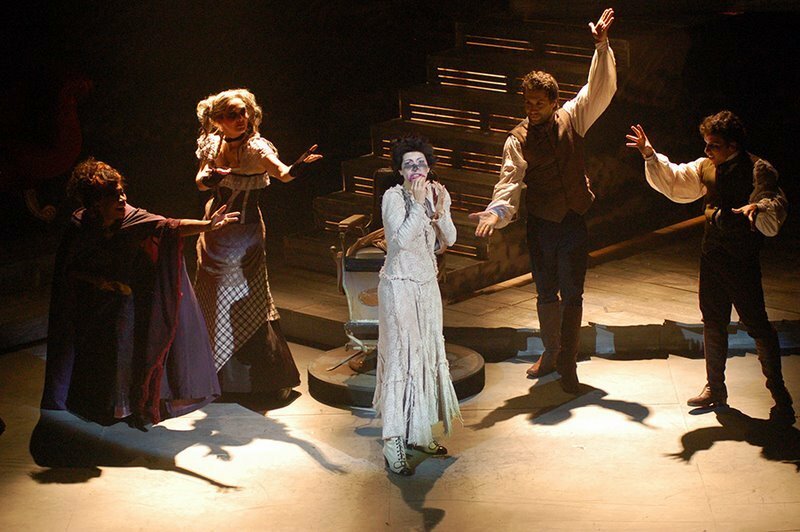 According to Spanish philosopher George Santayana, “Those who cannot remember the past are condemned to repeat it.” Not only is this the real cause of Amelia’s sorrow, but the central plight of all the characters in 7 – The Musical. They have been duped by their own mad obsessions into forgetting the past. Recalling only their present predicaments, Amelia, Carmen, Bianca, Rosa, Odette, Clara, Herculano, and the rest are forced, one by one, to re-experience their transgressions: to wallow in self-pity over such monstrous indulgences as adultery, murder, prostitution, deceit, abandonment, infidelity, black magic, and other debaucheries. Relief from this vicious cycle is not to be had: their fate has been sealed, the portal remains closed — predetermined from the outset by Carmen’s powerful spell. They are all condemned to endlessly repeat their mistakes — complicit bystanders in a living hell of their own making, existentialism taken to the ultimate extreme. A revisionist No Exit perhaps? Absolutely! Musical director Claudio Botelho once told me that “7” is very much like Sondheim’s Passion, in that it’s “a story about love and loss, about being left by the one you love, about losing your mind for someone else,” until you spend every waking hour in a fruitless search for that which you have lost. It’s a grown-up tale with a grown-up vision and viewpoint — the very model of a modern major musical. 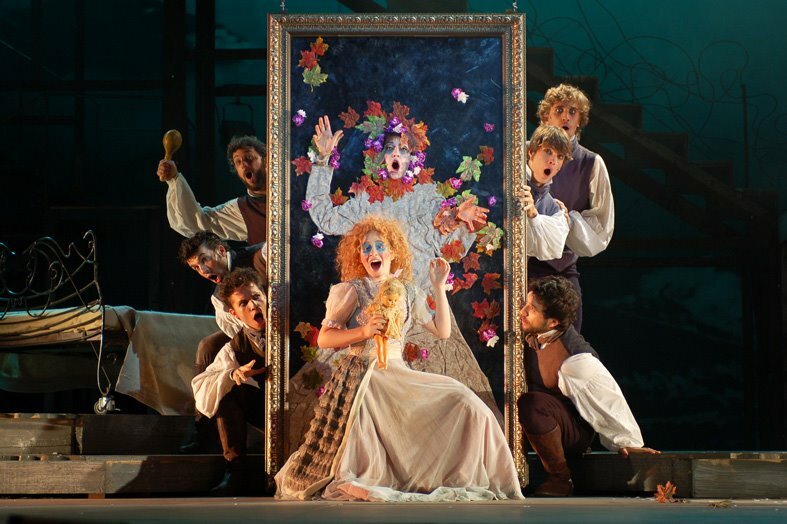 The Brazilian musical has indeed reached its maturity. And, like the memorable characters of Bianca and Clara, it has come of age at last: long may it thrive. English lyrics by Josmar F. Lopes – Copyright © 2014 All rights reserved. Picking up where we left off, we continue with the biographies of the Brazilian “Kings of Musical Theater.” Today’s subject is the versatile actor, singer, musical director, adapter, composer, translator and lyricist Claudio Botelho, one of the major names of musical theater in Brazil. Born in the town of Araguari (in the state of Minas Gerais), Claudio Botelho Pacheco was raised in Uberlândia, a principal city. “One of the first words I remember uttering was ‘radio.’ I loved listening to the radio, and I used to go crazy when a band would go down my street. I was a child of the 1970s, in the countryside of Minas Gerais, where the local bands would pass right under my window! It was during these formative times that Claudio came into contact with the song output of many of the era’s top singing sensations, Chico Buarque chief among them. In 1978 — coincidentally, the same year that Chico’s musical play, Ópera do Malandro (“The Street Hustler’s Opera”), made its premiere there — Claudio’s family uprooted itself and moved to Rio de Janeiro. “My mother was invited to be the coordinator of the Sacré Coeur de Marie School in Rio … We went to live in Copacabana. That’s where the piano first entered my life: my aunt Maria Helena, who already lived there and would become our guardian angel, had a piano in her house. Whenever I used to visit her, I would go directly to her piano. And that’s how I learned to play, by myself. That “new life” Claudio hinted at would comprise a career in musical theater. First, he began by studying theater at UNI-RIO, then letters at the State University of Rio (UERJ), graduating as an actor at the Art House of Laranjeiras (Casa das Artes de Laranjeiras – CAL). After several youthful ventures, including an early adaptation of Ferenc Molnár’s play, The Paul Street Boys, he almost gave up his dream of ever being on the stage. 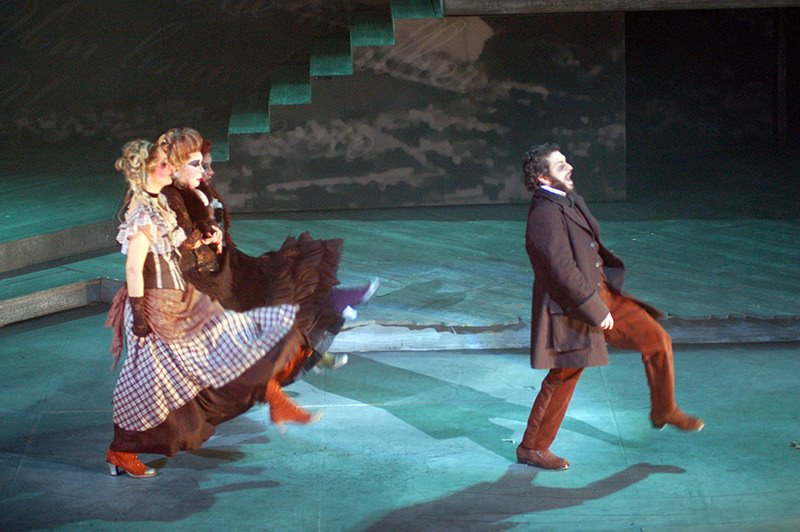 In a burst of “arrogance and audacity,” as he politely phrased it, Claudio went straight to the theater where actor, writer and director Ary Fontoura was appearing and, as Lady Luck would have it, convinced Fontoura to hear him out as Claudio presented his own musical version of Charles Dickens’ Oliver Twist. Indeed, he was. 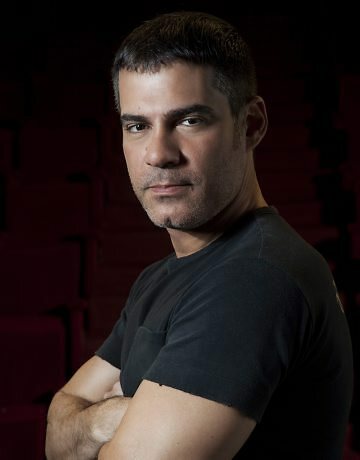 Not only did Claudio compose the score to Moça, Nunca Mais (“No More a Woman”), he also rewrote the song lyrics (“I thought the originals were awful”). After several more such endeavors, and many “ups and downs” in the musical-theater market, he started to rub elbows with other well-known theater personalities, to include the late Sergio Britto, Miguel Falabella and Ítalo Rossi. ‘7’ the Winner! The Brazilian Musical Comes of Age — Part Three: The Critics Agree! “The show argues the case for what a Brazilian musical can be. The production… reveals its national identity by means of elements found in the universality of its themes. Inspired by confabulated tales of witches and witchcraft, in traditional narrative recollections, they are transferred to a Rio of the imagination where snowflakes begin to fall. The characters relive the archetypes previously conferred on them by the Brothers Grimm, singing as if they had stepped out of a Sondheim musical. There’s nothing more Brazilian, by the spirit of playfulness present throughout – with the needless necessity of labeling itself ‘native’ in origin – than to prove that an Anglo-Saxon matrix can receive a treatment that celebrates, by sheer force, this very identity. “It’s difficult to associate Ed Motta who debuted in the record market in 1988… with his theatrical debut as the sophisticated composer of 7 – The Musical. Ed wrote the score (the lyrics are by Claudio Botelho) and provided the musical direction (together with Botelho) of the team comprised of Möeller & Botelho on their 15th joint production. The melodic refinement is in complete harmony with Ed’s recent repertory of works.